Can we put “piano tone” to rest? I recently heard a close friend talking about “piano tone” again. Amazingly enough, there are still a huge number of pianists that believe that you can get a certain “tone” out of the piano that is more beautiful than another tone. One of my teachers used to call it getting a “singing tone” by hitting the “sweet spot” in the key. Of course, it’s all nonsense. With instruments in which you are in physical contact with the string or the air column, you can affect the tone of the instrument. If you are a percussionist, you can affect the tone by what sort of mallet you use and what part of the instrument you are playing. 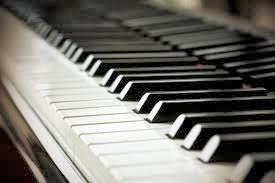 If you are a pianist, you are pressing a lever that is moving a hammer that is striking the string. Because of the mechanism of the action and the laws of physics, it is simply impossible to affect the piano’s tone. You can press your lever faster or slower. That is all. Your piano technician and the state of your hammers has more to do with the “tone” of your instrument than you do by some sort of nonsensical way of pressing the key. Weirdly, even though there is a similar amount of distance between the sound and the playing mechanism, no one ever talks about an organist’s “tone”. You never hear someone say, “Oh, she got such a great tone out of that 8′ flute stop” because everyone knows that it would be balderdash. Pianists, however, routinely criticize someone as having a “brittle” or “harsh” tone. Not that two pianist can’t be told apart in a blind test playing the piano. They can, but it’s not because of “tone”. In fact, you couldn’t tell the difference if I was playing the piano with a pencil instead of my finger if you weren’t looking. So let’s stop talking about “tone” on the piano – unless you can explain to me how the laws of physics allow you to produce a different tone than someone else. Also, if you care to consult the literature, every experiment every done in this area supports my position. So just stop it. I did study all of this in my piano pedagogy days, and while there can be a certain amount of key surface noise from really aggressive technique (it would be easier to show you than to try to explain it), I constituted a lot of this in the same way that singers use imagery. The "head voice" and "chest voice" nomenclature is of course nonsense, but this imagery does trick singers and their mechanisms into accomplishing certain sonic affects. For pianists, "Singing tone" and "brushed tone" (in playing Debussy, for example) are all tricks, in playing with more arm weight, and in flattening fingers, respectively, but I've personally found this imagery helpful, and helpful for students. Would it be more accurate just to call it what it is? Maybe. But I think the imagery is part of the fun in capturing the "magic" of artistry in music. Actually, Dwight, I'm OK with that. May problem is actually with students who introduce extraneous motion at the keyboard in order to produce a supposedly different sound. As far as using imagery, I'm all for it. I'm just not in favor of inefficiency.